Pete Anderson, a Principal in Beveridge & Diamond's Washington, DC office, is speaking during a Bloomberg BNA webinar on Thursday, October 22, 2015. The webinar, titled "The Reach and Benefits of Effective Environmental Compliance: Practical Tips from the Government’s Playbook on Self-Governance, Transparency, and Enforcement-Readiness," will provide dual perspectives on environmental compliance risks. 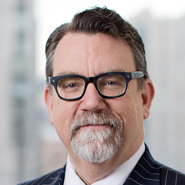 Mr. Anderson will discuss the government's environmental enforcement "playbook," the interaction between federal and state regulators, and the need to integrate in-house legal and compliance teams. Visit the event website to learn more and to register.